Since our original Kickstarter campaign, Mineral Design products have been featured and reviewed on several sites. Interested in reviewing our products in your publication or blog? Contact us at info@mineralbikes.com. 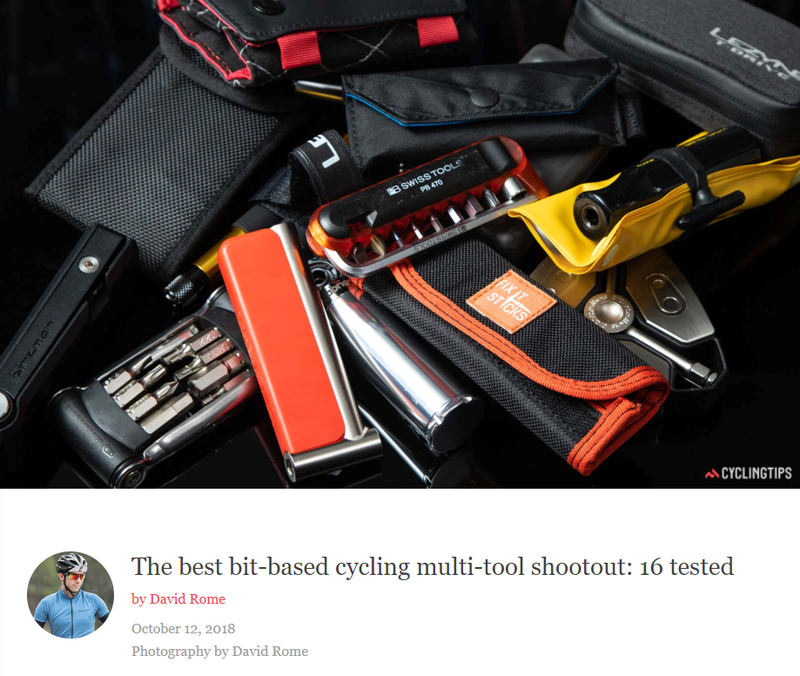 Cycling Tips did a comprehensive bit-based multi-tool shootout covering 16 popular bike tools. We were extremely proud to be picked ‘Best in Test’! Bikerumor had the Mini Bar for a hands-on review. Be sure to check out the video! Check out our original Kickstarter campaign to get the full background on Mineral Design, The Mini Bar, and Barstow Chain Tool. See where it all began and follow along with our design and first production run with the project updates. We spend hours on bikerumor.com and we were thrilled to have an article of our own during our Kickstarter campaign! Who doesn't love the great articles and awesome photos on The Radavist? They posted up our Kickstarter video during the campaign to give us a nice boost!